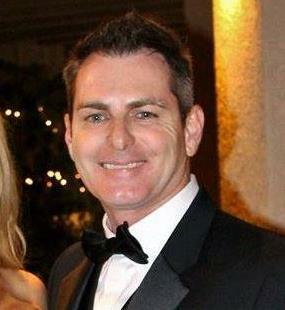 By: Mark Kauffman, Chief Technology Officer - UP Creative, Inc. If one fine morning you got to know that your website rankings have been tanked and traffic has dropped, there are possibilities that your website is under Google Penalty. Not all drops in ranking and traffic are caused by Google penalties. But, you need to be smart enough to smell if your website is hit by Google's algorithmic or manual penalties. 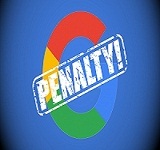 A Google penalty, in terms, is an algorithmic or manual action taken by Google that removes a website entirely or partially from the Google index or drops website's search rankings significantly. Google Panda Update aims at lower the rank of websites having low quality/ thin content or a lot of advertising in them. Penguin update aims at lowering the rankings of websites that practice Black Hat SEO techniques and unnatural linking patterns to manipulate their search rankings. If you're clueless how to identify if site is under penalty or what measures to take to get it back in the good list of Google, this quick guide will help you. The easiest method to identify a possible Penalty is by using Google Search Console ( formerly Google Webmasters Tools ). Sign into your GWT account, click on ->‘Search Traffic’ -> ‘Manual Actions. a: No manual webspam actions found- It indicates that your website is safe from any kind of algorithmic or manual penalty. b: It displays the type of penalty applied along with the steps to follow to get rid of the penalty. Significant loss in website traffic might be a sign of Google penalty. 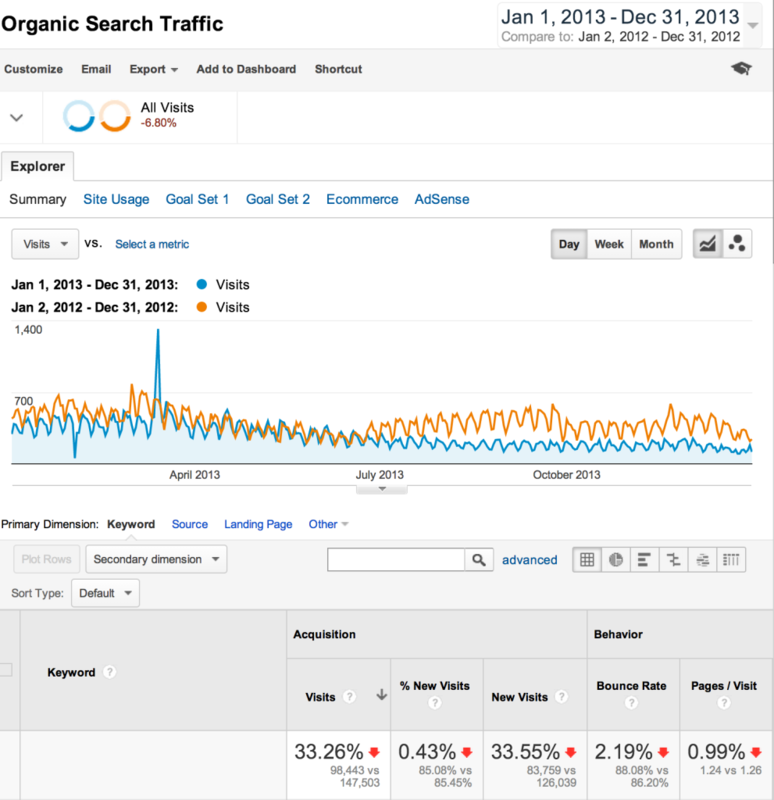 Use Google analytics to track the dates when your website incurred the traffic loss. Now, find out if there was any Google update launched around that date like the Penguin or the Panda. If answer is yes, then surely your site is affected by the update. Another way of tracking Google manual penalty or Google algorithmic penalty is by entering your domain name on Google and seeing whether your website ranks in the first page for that query. Say, you brand's name is ABC. If your domain name (brand name related domains ) “abc.com” is not ranking on the top 10 results for the query, then you're probably affected. Another way to determine the penalty is by entering the title tag text in search and seeing if the site is ranking in SERPs with that text. Indexing is another way to find traces of Google penalty. Type in site:yourdomain.com into Google, and hit enter. If your site was already indexed and now is missing in action, a site-wide penalty, or a blacklisting is the possible reasons. If your website traffic has dropped but it shows up when entering specific queries in Google, you might be under penalty. Search for site:awebsite.com itsKeyword into Google. Now swap the “itsKeyword” for another search terms. If one or more of your pages does not show up, you may be suffering from a partial penalty. Though, Google discontinued PageRank, it may still help in identifying a Google Penalty. Check your page rank and compare it with your past rankings. If your ranking is lower than whats it was earlier, you may have hit with a possible Google Penalty. This is the easiest way to track the possibility of Google Penalty. Enter your website URL in search bar of the tool and hit enter. In case you need a professional help in finding and fixing a Google algorithmic or Manual penalty, our Google SEO services team, they will help you out of the mess.